Metal Gear designer Hideo Kojima was apparently not allowed to attend tonight’s Game Awards, per an announcement by host Geoff Keighley. A lawyer for Konami reportedly barred Kojima from attending, nor accept his awards. 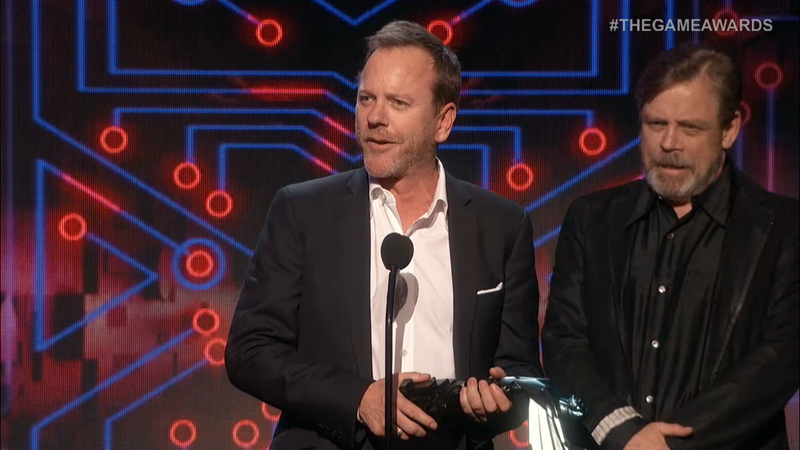 The Phantom Pain’s Kiefer Sutherland accepted one of Metal Gear’s awards on his behalf. When the news was revealed, the audience boo’d in protest. Previous reports suggested Kojima had a non-compete through December, which may explain why Kojima was unable to show up to The Game Awards. As Brian Ashcraft wrote about last night, a PR person at Konami accepted an award for The Phantom Pain at Sony’s PlayStation Awards in Japan last night. Konami has not responded to my request for comment.